Yes. For the past few years company president Sean Riley has also worked making the television show Worlds Toughest Fixes for the National Geographic Channel. 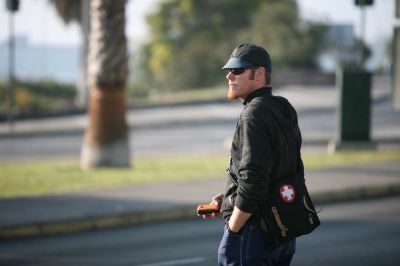 While he continues to design and oversee rigging operations for Gravity, the WTF program is an important vehicle for educating the public about the rigging industry in general, and the hardworking people who keep the world running smoothly and safely. Now in it's 4th season of production, Worlds Toughest Fixes is on Thursday nights at 9pm. Website and fan contact info can be found here. Or, join us on facebook, here. Thanks to everyone, our clients included, for your continued support of this exciting program.